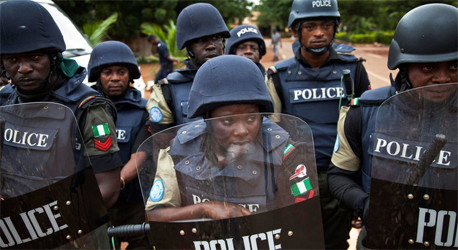 ILORINâ€”Officers of Kwara State Police Command are still battling to recover the placenta of a newborn baby allegedly sold to a cleric in Ilorin for ritual purposes by a nurse in a private hospital. At press time, Vanguard reliably gathered that the cleric and the nurse attendant are yet to disclose the where about of the placenta to the police. The cleric, who reportedly bought the placenta for N20,000, claimed he had thrown it into the river as it was not useful to him since the baby was delivered through caesarean operation. The duo according to Vanguard findings were arrested following report to the police command by the medical officer in charge of the private hospital when the father of the baby was not given the placenta on demand. The father of the new baby, one Jimoh Abdulfatah, had reportedly taken his wife to the private hospital for Caesarean operation following unsuccessful efforts at having normal delivery at both the Civil Service clinic and the General Hospital, Ilorin. On an advice of one of the doctors, Jimoh Abdulfatah took his wife to the said private hospital where she was successfully operated upon and delivered of the baby. According to him, â€œBecause of the stress, we went through from the two hospitals we earlier went to before we were advised to go to the private hospital, I completely forgot to ask for the placenta, immediately after the delivery, we just left because we were fulfilled and happy. â€œThe following day, it was after everything had settled down during a discussion that we remembered the placenta and I quickly ran back to the private hospital to demand for it. â€œBut, to my dismay when I got to the hospital to collect the placenta, the nurse I met on duty told me that she has asked the nurse attendant that was on duty the previous day, that is the day of the operation, to bring the placenta. He said that prompted the senior nurse to immediately alert the medical director of the private hospital of the incident. The chief medical director, who was shocked promptly invited the Police that promptly arrested the nurse attendant. Vanguard, however, gathered that it was during interrogation that the nurse attendant confessed that she gave the placenta to a cleric in the town and the cleric was subsequently arrested too. The development, however, prompted the matter to be transferred to the state police headquarters for further investigation. Upon further interrogation of the cleric at the police headquarters, the cleric also confirmed receiving the placenta from the nurse attendant but that he had thrown it into the stream near his house. The Muslim cleric reportedly said during Police interrogation that since the placenta was through operation, it is not useful for the ritual, noting that placenta of the baby delivered through normal delivery is the appropriate one. Since the placenta had been reportedly thrown into the river behind the clericâ€™s residence, the husband and the wife with their relations and friends are worried about what the police would do next and what would become of the newborn baby. Contacted, the state Police Public Relations Officer, Deputy Superintendent of Police, Ajayi Okasanmi, confirmed the arrest of the two suspects in connection with the incident. He added that the duo will be arraigned in court after the completion of Police investigations. Let them deal with them very well!